Show the world where you’d rather be with our exclusive Hot Air Ballooning car tag! 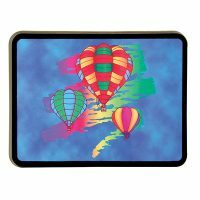 Aluminum plate features colorful balloon artwork, pre-drilled holes. 6″ x 12″.